Working with Mod Podge is one of my favorite ways to craft. This all in one glue and sealer does fabulous things to the simplest of projects. That’s why I was so excited to receive this amazing box of Mod Podge in different formulas, and tons of the new products that range from dimensional glitter to podgeable papers and shapes! I was giddy with all of the possibilities! All of these great products are available at Michaels! After brainstorming for awhile, I decided to make something for the little boyz room, which has an vintage car theme to it. I thought it would make a great opportunity to try the Antique Matte Mod Podge and several other of the new products. Plus I already had on hand the other items I would need! I used a 10 x 10 inch canvas, red spray paint, a state map and an Exacto knife from my own supplies. Begin by turning your canvas upside down on your map and trace the outline of the canvas. I love that you can use either part of the Mod Podge Tracing Templates! I chose to use the pop out sections. I took my time and tried several different layouts and positioning before tracing them with a pencil. I sprayed my canvas with two coats of red glossy spray paint I had on hand. Be sure to paint the edges of the canvas as well! 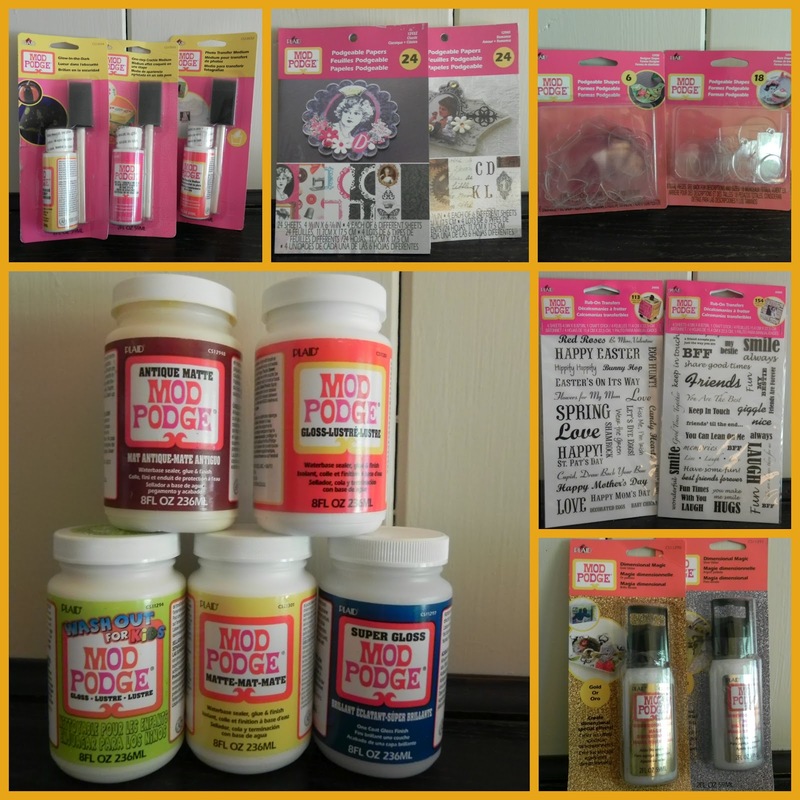 I’m ready to Mod Podge! I loved using the new Mod Podge Silicone Craft Mat. No mess on my table, and the Mod Podge peels right off when dry for easy cleanup! I decided to try the Mod Podge Roller Applicator. What I love about this product is that the bottle has it’s own lid. So when I am done using the foam roller, I unscrew it and put on the cap where it can be stored until I need to use it next. No wasted Mod Podge! It was incredibly simple to use and gave me a nice even coat of the Mod Podge Antique Matte formula over my canvas. I then placed my map on top. I rolled over the top of it with the Mod Podge Professional Decoupage Tools Brayer and the covered it with another coat of Mod Podge Antique Matte over top of the map. Starting at the center of the cut outs, I worked out all of the creases and bubbles. It was easy to do with the Professional Decoupage Tools Squeegee. Then I ran the roller over the top for an even, uniform coat. This is how it looked wet. I let it dry overnight and then added another coat of the Antique Matte Mod Podge in the morning. See the difference from where the map started out, color wise, and how it looks after the Antique Matte Mod Podge? I love how it looks on the shelf! 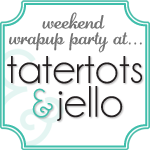 Be sure to check out other ideas and projects on the Plaid Craft Pinterest Page, Facebook & Twitter! neat project! i love the red. Thanks for linking up to the CSI Project. I would love for you to do a tutorial in July for the CSI project. You can see the challenges on the blog and email me to sign up. I would love to have you on the blog. Great project…personalized artwork is the best. I am part of the mod podge launch happy to have found you. My project will be posted tomorrow. What a creative project! We are always going on road trips so this is perfect!!! Cute art! Love the bright red.